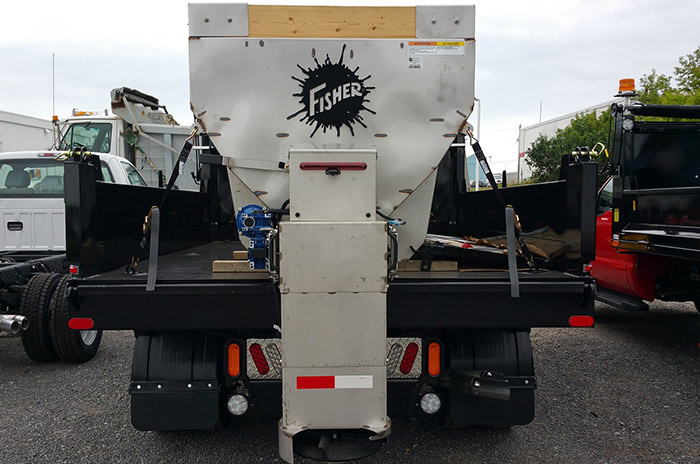 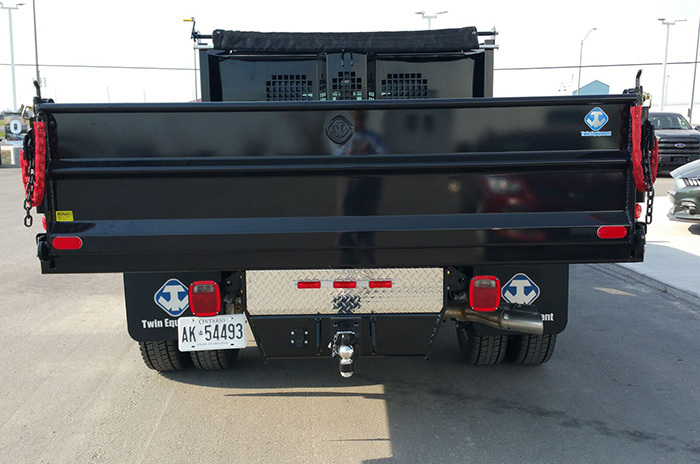 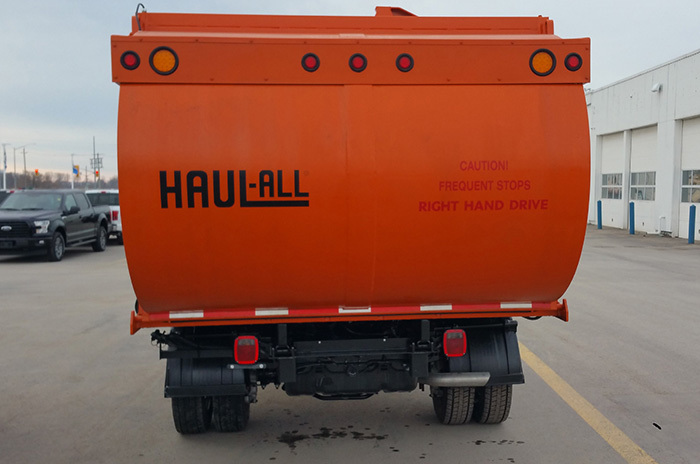 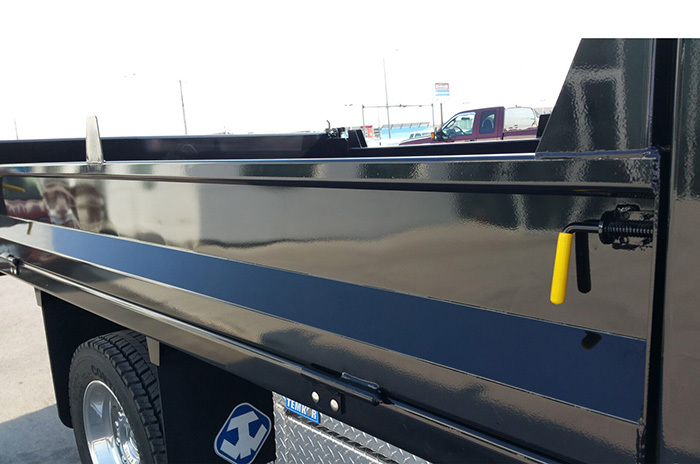 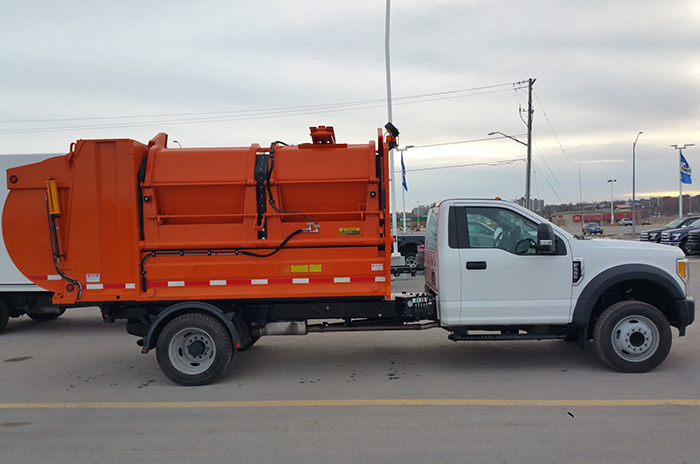 Built for a local municipality, this custom built / upfit dump truck is kitted out to suit the needs of the city: Transport up to 6 people to a work site, hydraulic actuated dump bed with cover, tail and side gates, diamond plate and lockable storage boxes. 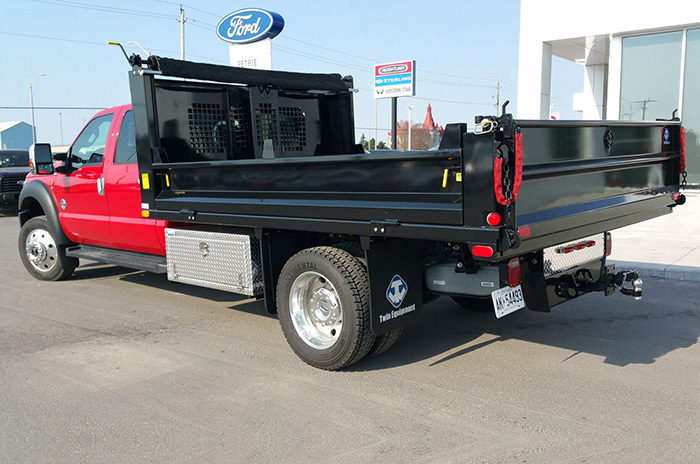 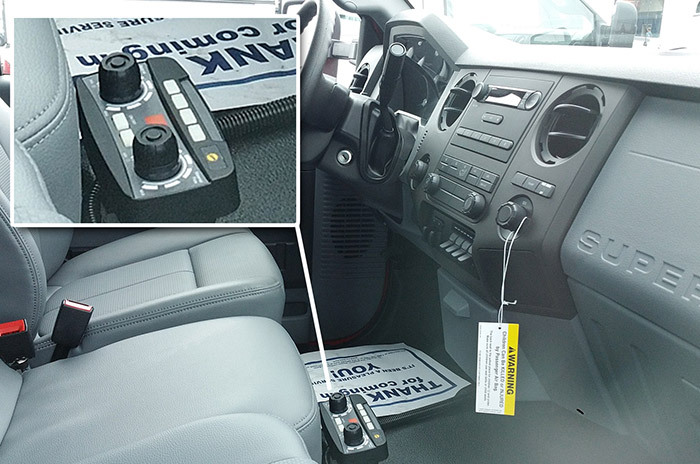 Custom built for a municipal client, this vehicle was specially built to suit the needs of our client. 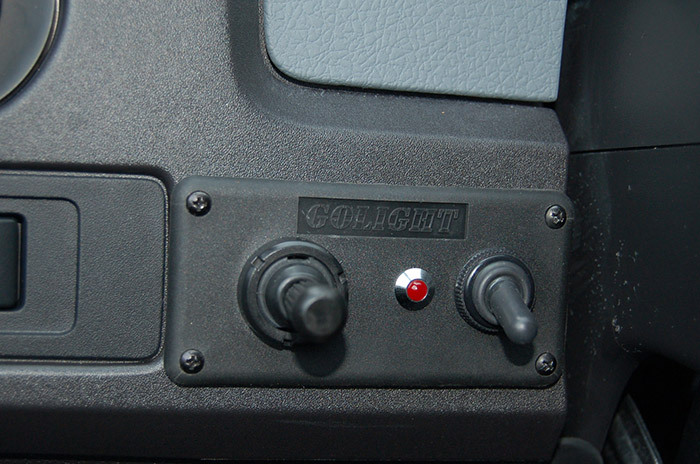 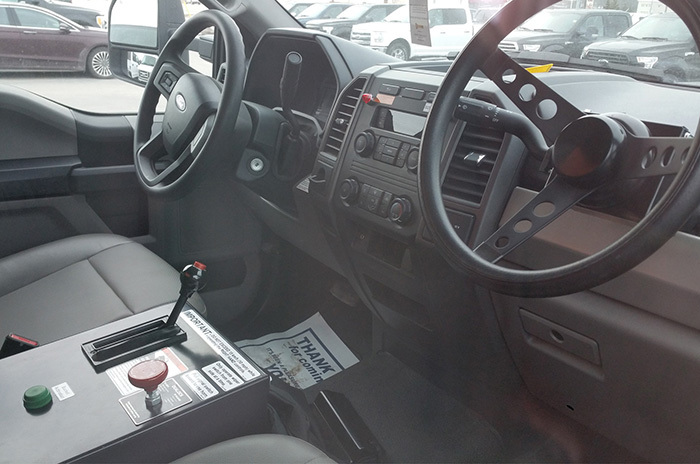 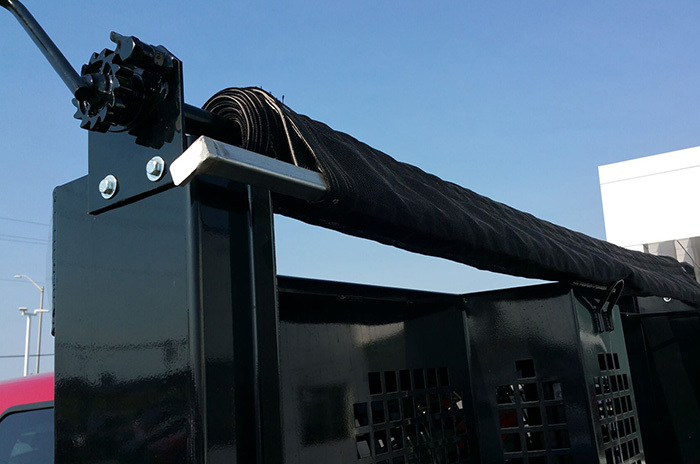 It needed to have: garbage pickup service logistics upfit on chassis, controls to lift and process, steering wheel and driving control on both sides of the truck (for solo pick ups), controls between the seats. 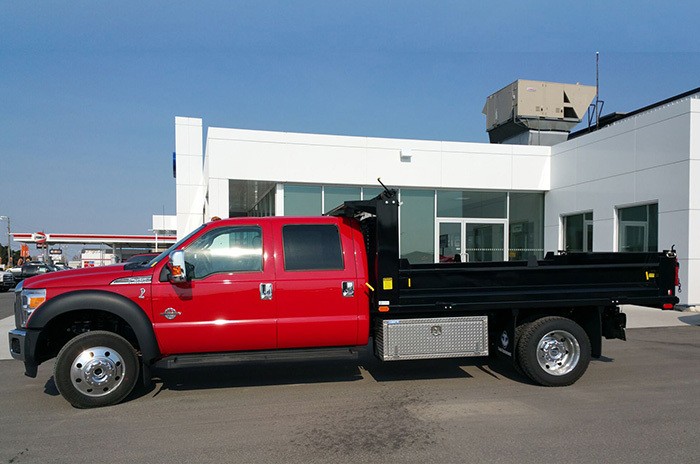 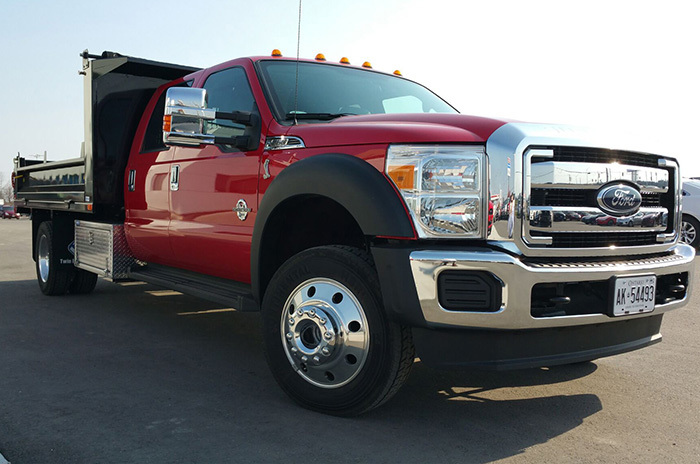 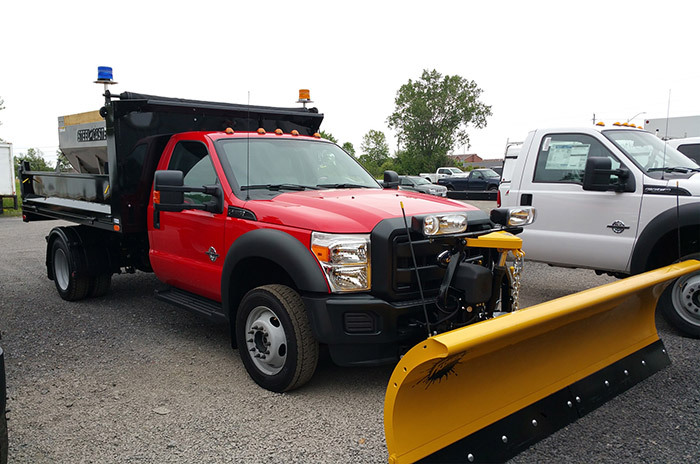 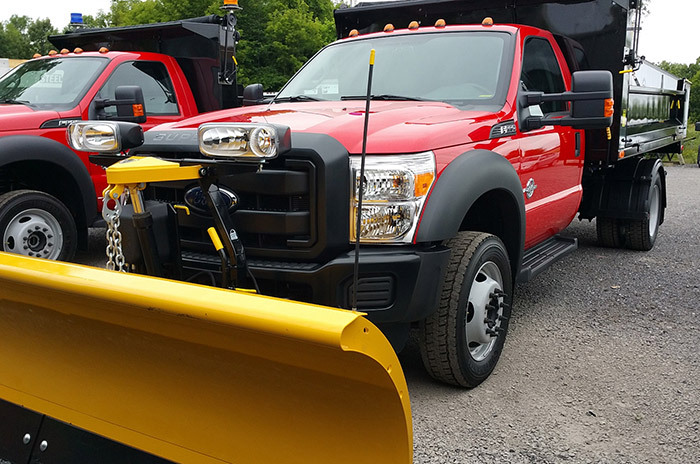 This F-550 was custom built to suit our municipal clients specific needs: Winter road maintenance and 4 season dump bed utility. 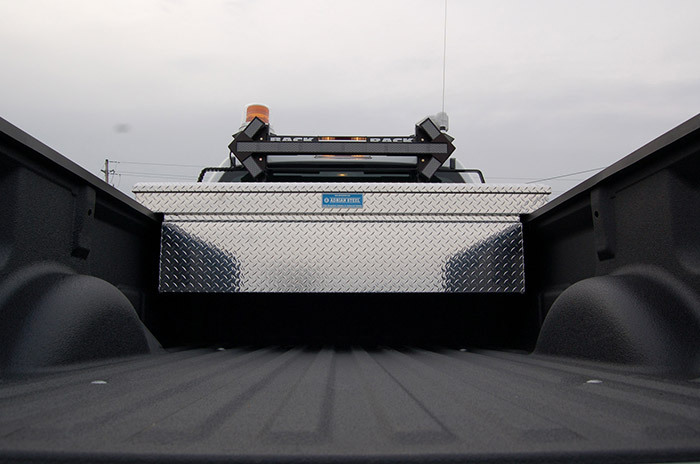 This vehicle is fitted with a removable plow and salter, the dump bed tailgate is easily removed when the salter is needed. 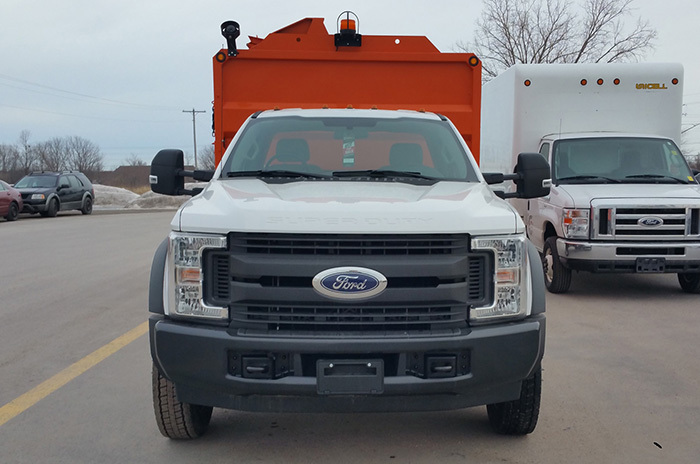 A loyal client adding a vehicle to his fleet. 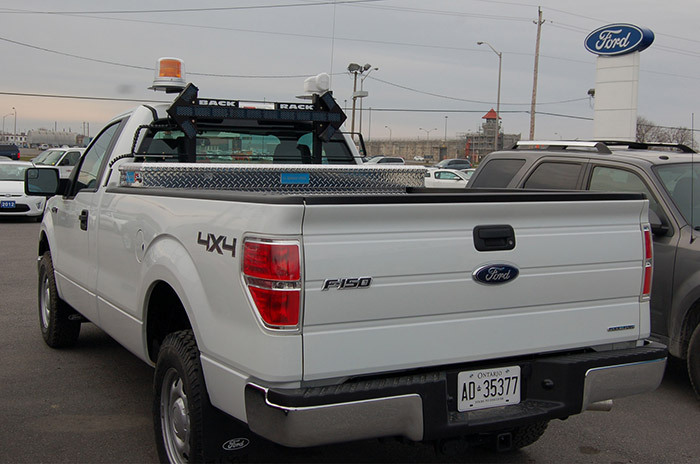 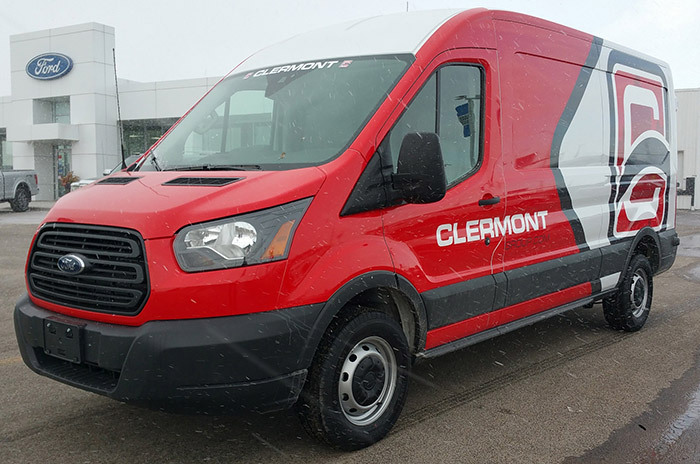 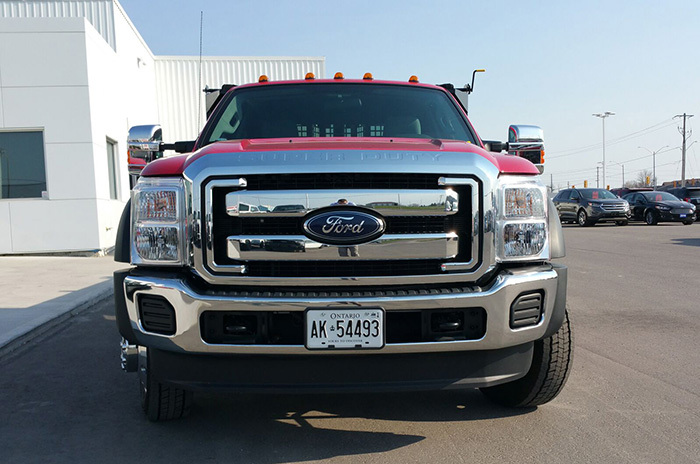 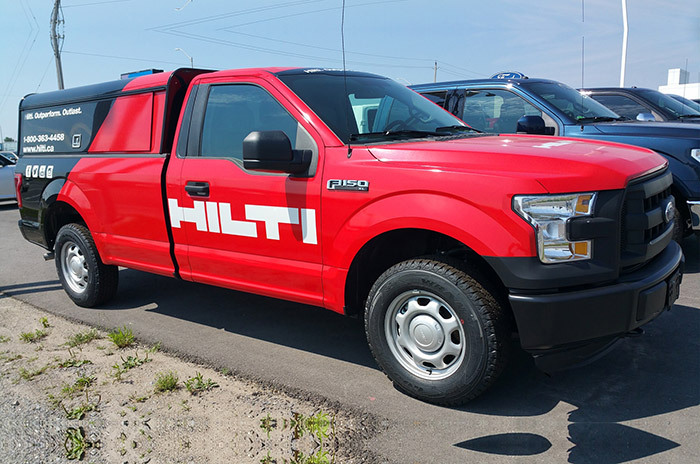 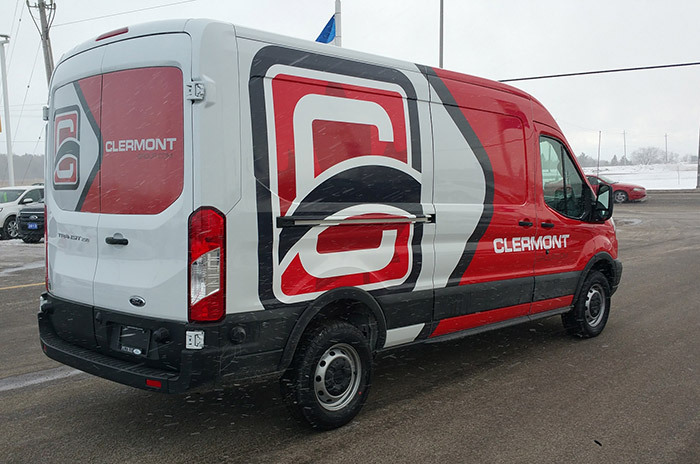 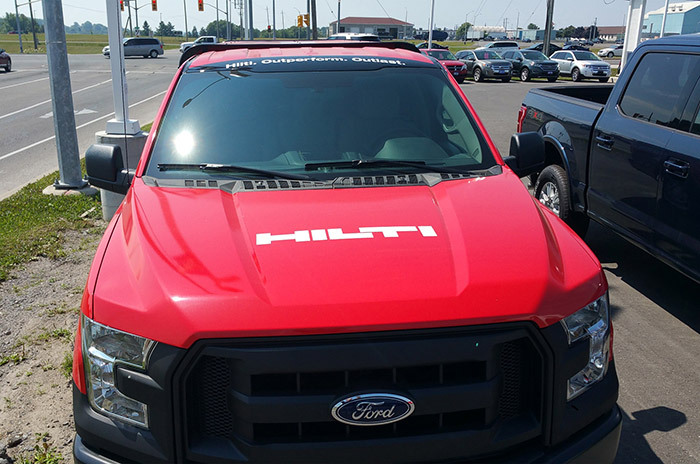 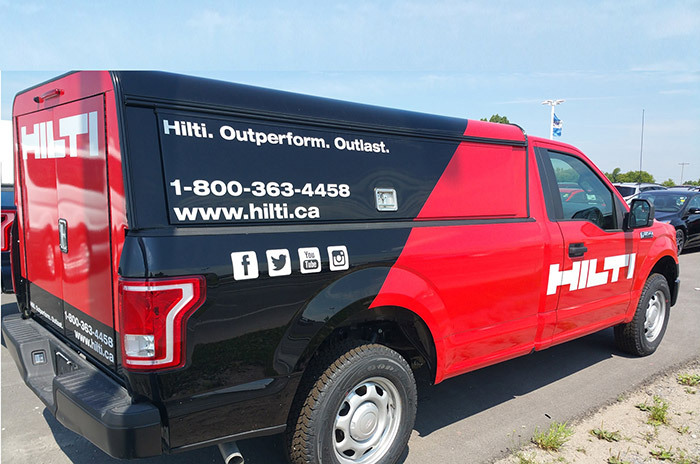 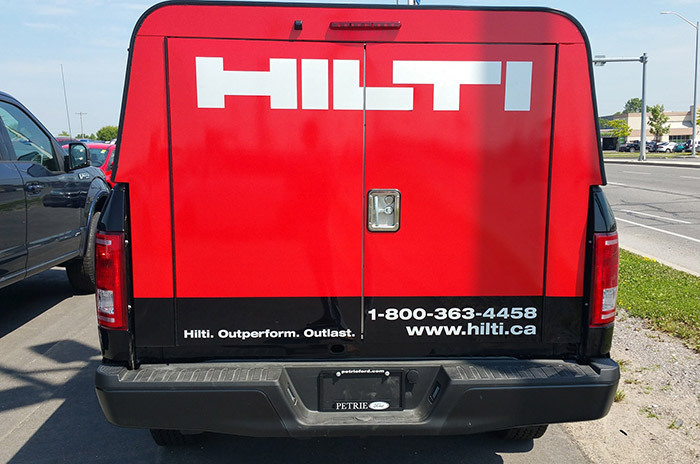 The F-150 was ordered for the customer on spec, the cap was sourced to fit the needs of the business, and custom graphics / wrap was applied to match the existing fleet. 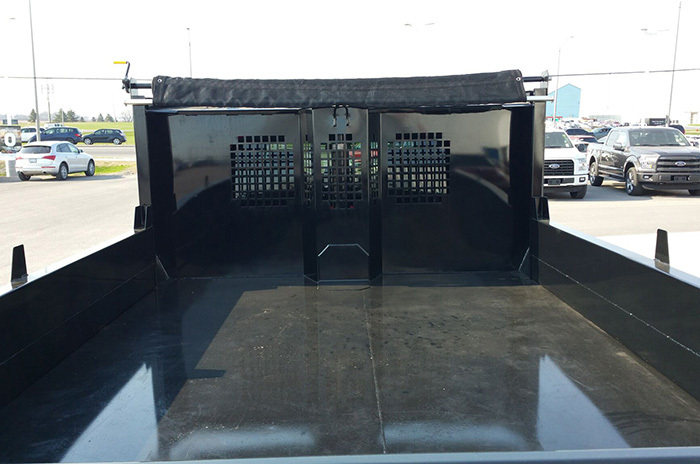 Custom built to spec for our loyal client. 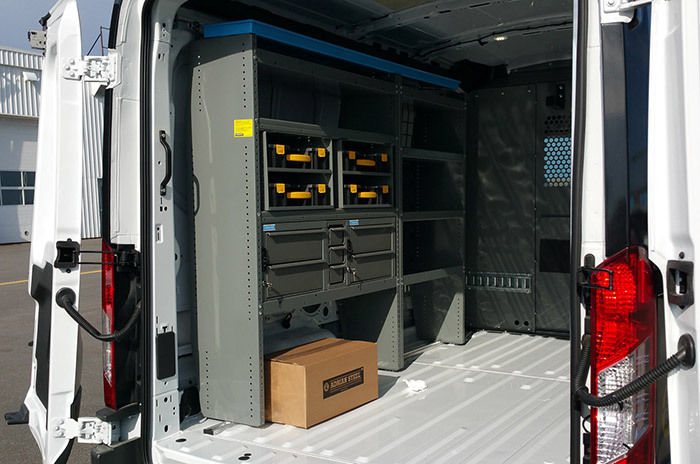 The Transit was wrapped to match its existing fleet, and upfitted shelving in the cargo area to facilitate the trade: Cabinets, drawers and shelves on the left, wire spool and hardware holders on the right. 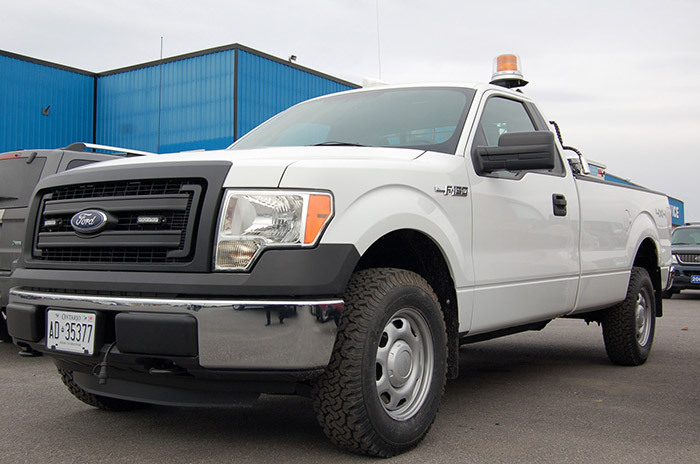 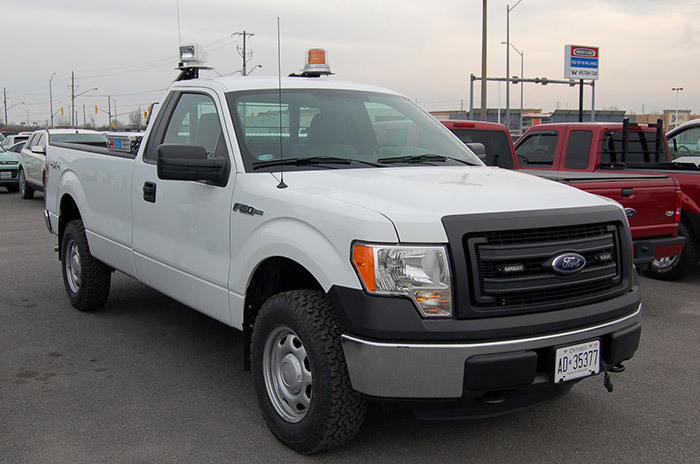 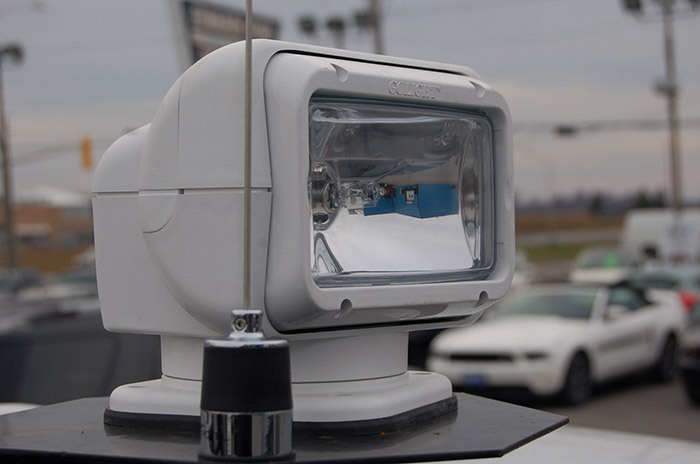 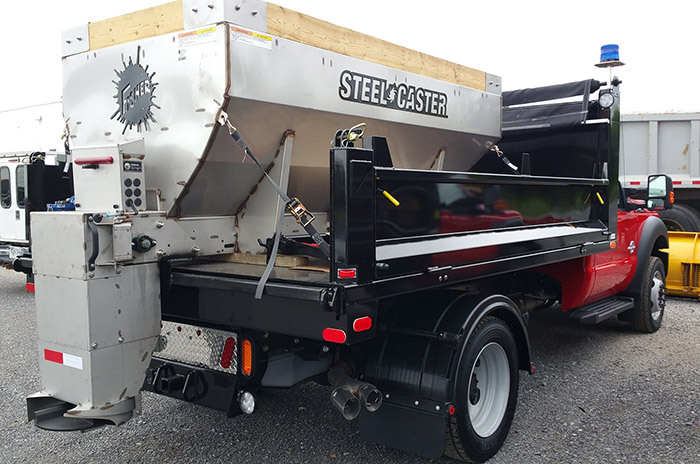 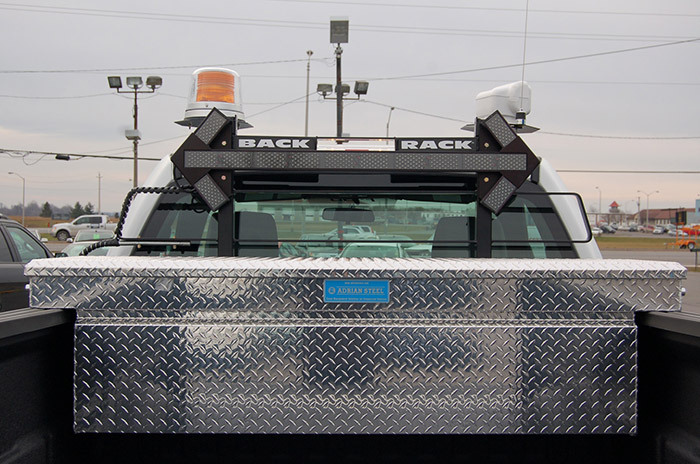 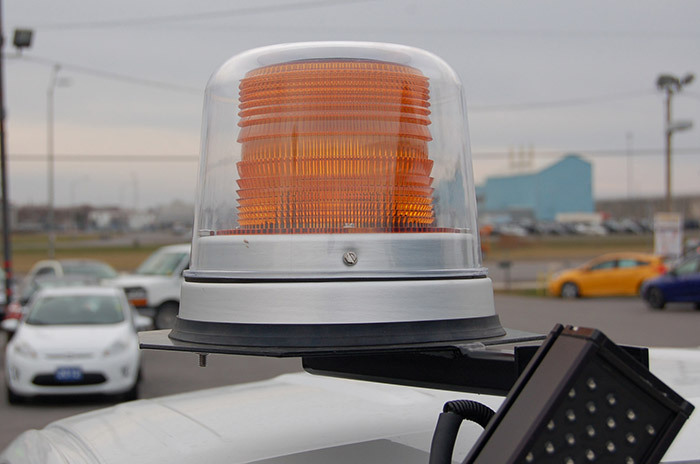 Built to exact spec of the client, this vehicle is ready for road construction. 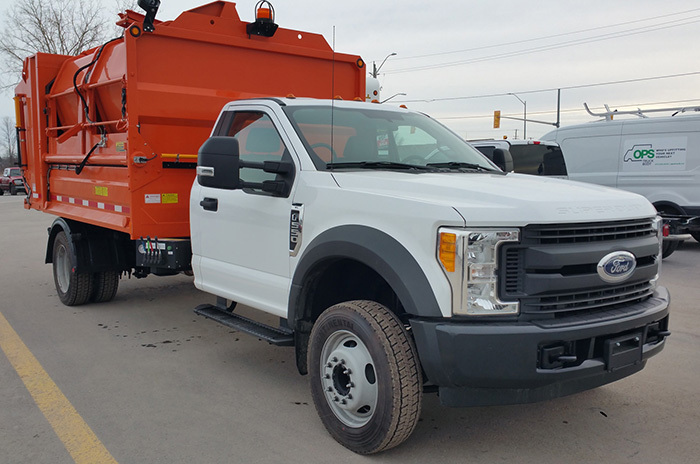 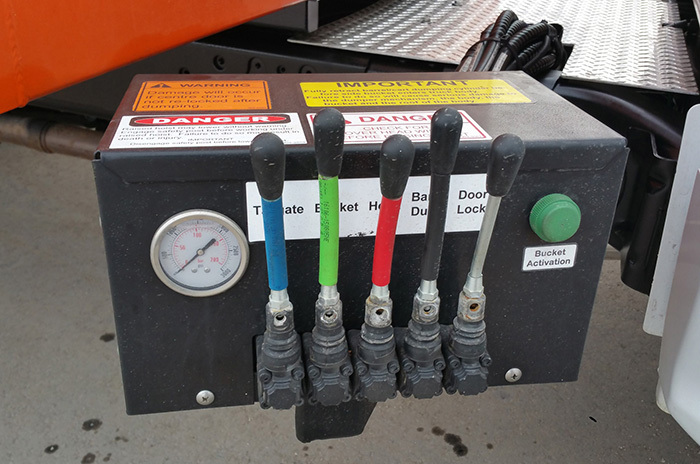 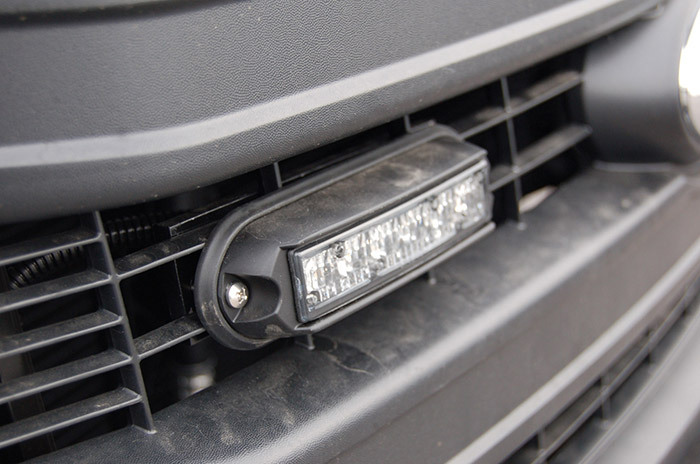 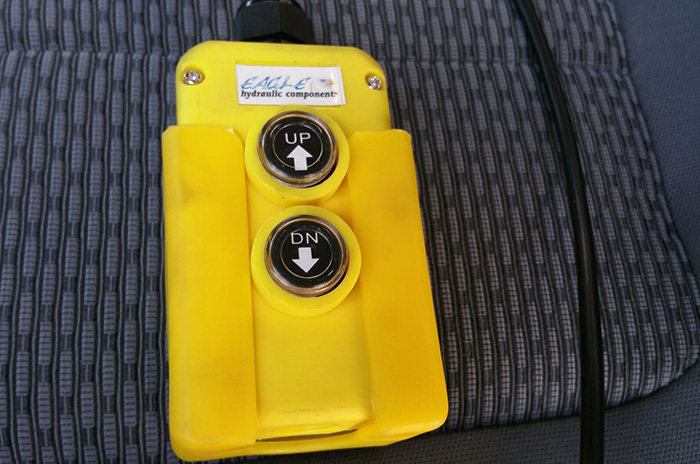 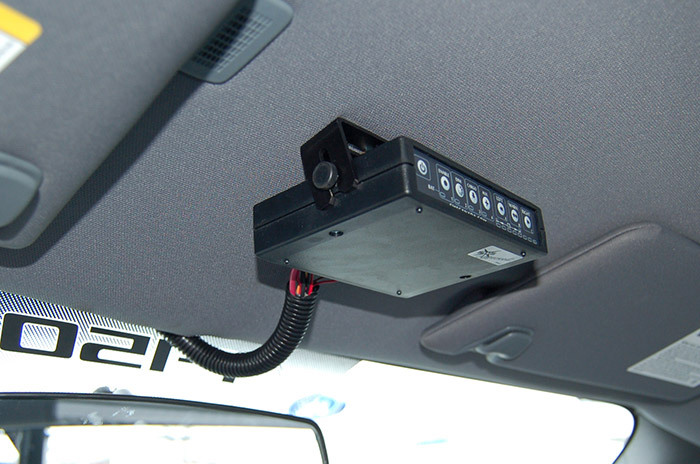 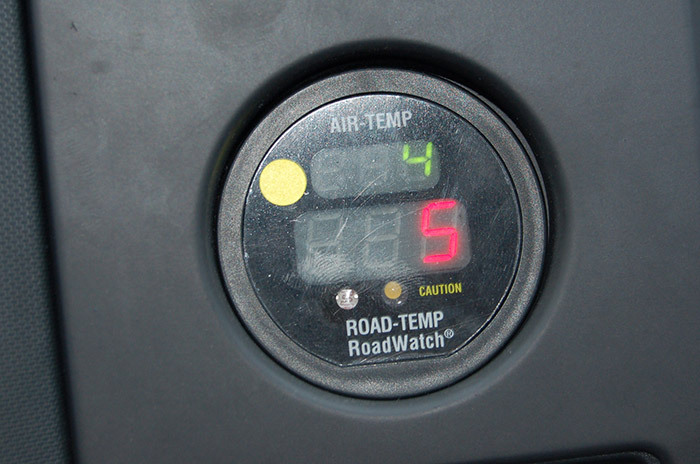 Spray in bed-liner, diamond plate tool box, traffic arrow LEDs, spot light, orange warning light, LED strobes, CB, sensors, interior controls for all. 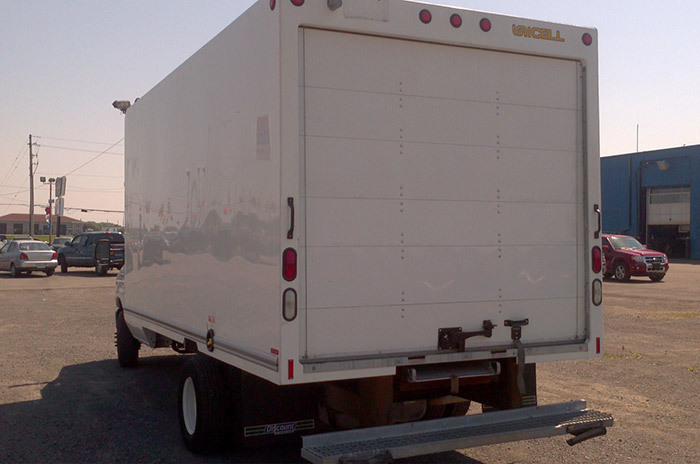 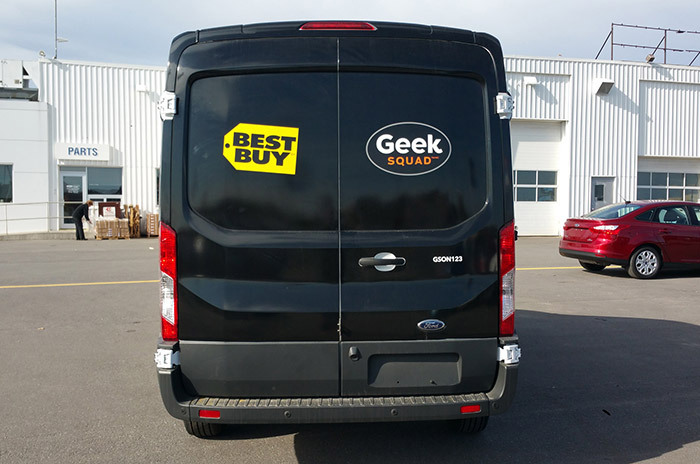 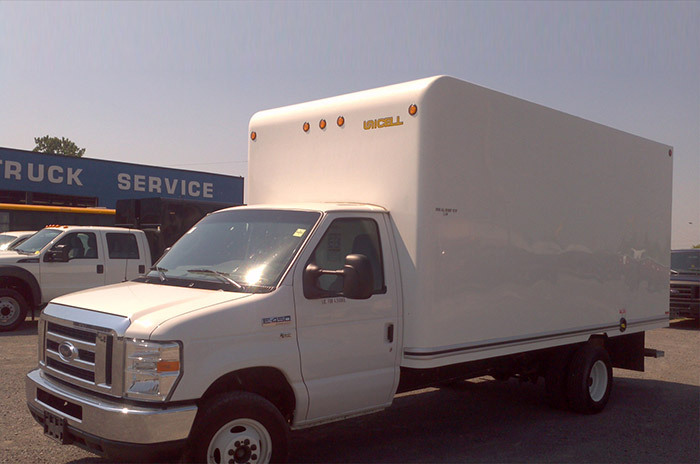 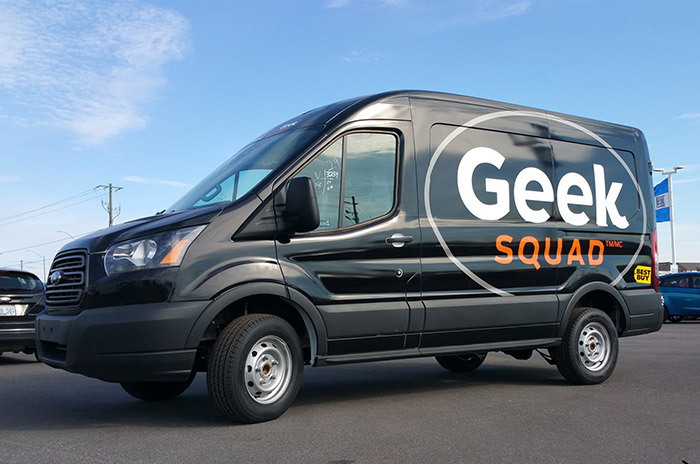 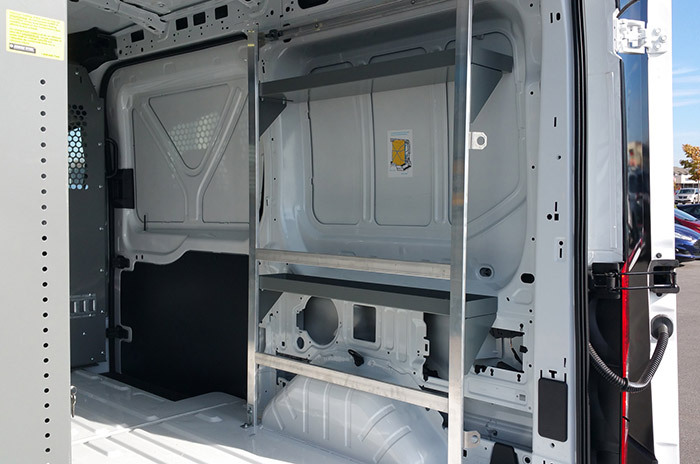 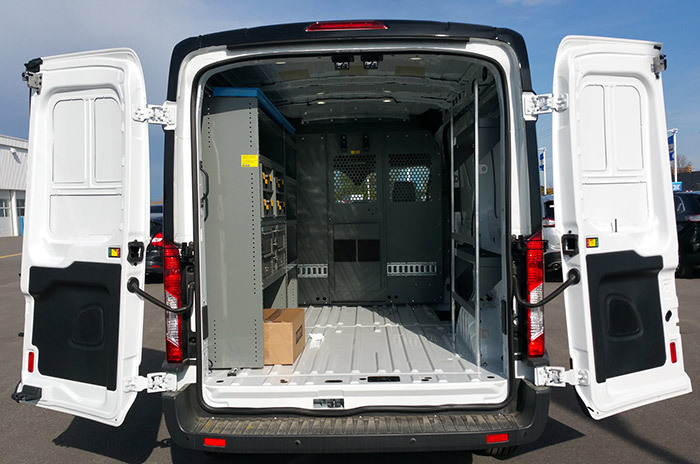 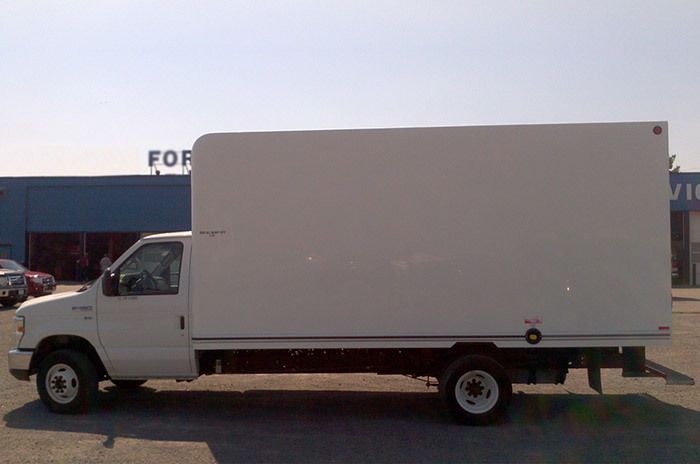 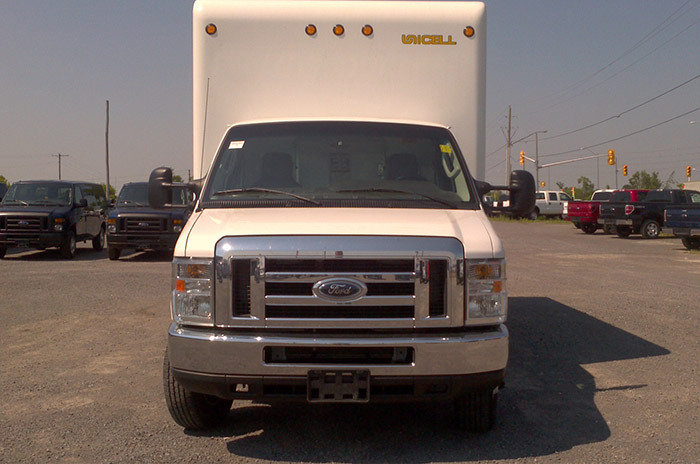 Built to spec for a loyal client, this is a standard E-450 Cube Van with hatch/door from cargo area to cab. 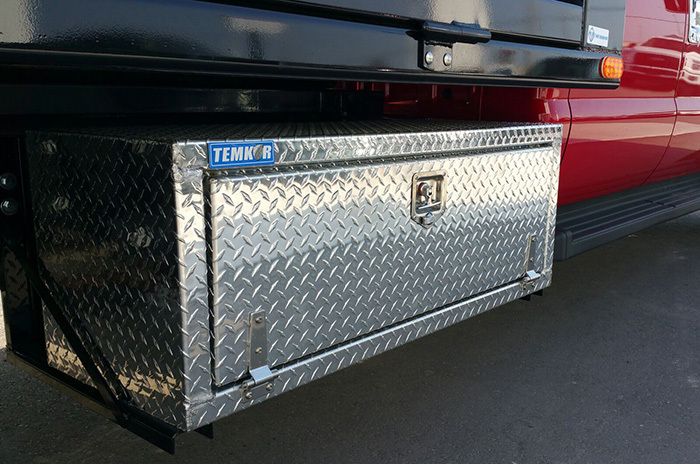 Lightweight fibre glass box over chassis. 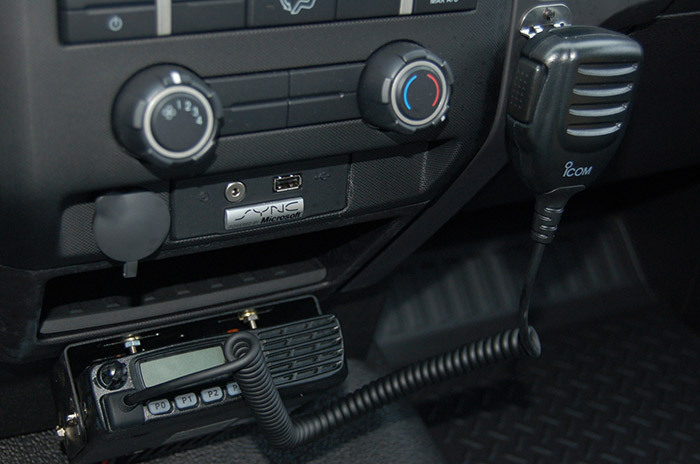 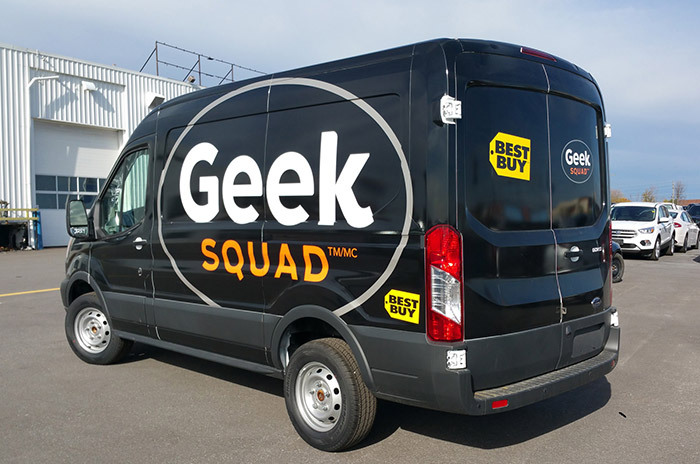 Ordered to spec for a client adding another van to their fleet. 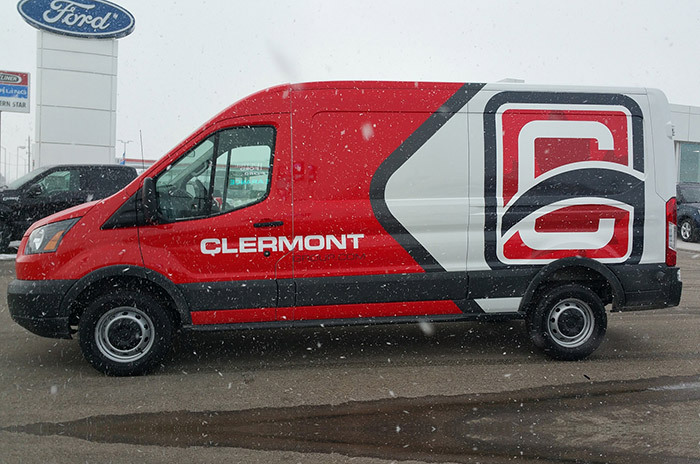 This van had the company livery (graphics) wrapped.